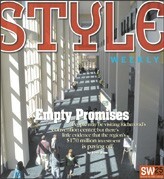 Empty Promises | Cover Story | Style Weekly - Richmond, VA local news, arts, and events. People may be visiting Richmond's convention center, but there's little evidence that the region's $170 million investment is paying off. Four hundred dollars a minute. While steel and concrete workers filled the streets of downtown Richmond one afternoon in the late 1990s, Don Charles recalls scribbling out the math, an attempt to grasp the scope of the construction job he was overseeing. The mammoth expansion of the old Richmond Centre was a $170 million project. It comprised six city blocks, bounded by Broad and Leigh streets on the north and south, by 3rd and 5th streets on the east and west. It consumed 700,000 square feet — the equivalent of three Wal-Mart Supercenters, 10 Food Lions or 260 7-Eleven stores. Charles, who was chief administrative officer of the convention center authority, punched in a few numbers on his calculator to come up with the costs by the clock: $400 a minute, or about $6.60 a second, $24,000 an hour. He recalls thinking about the historic magnitude of it all — how this expansion represented something special, something the city desperately needed. This was the first time the region had come together to address the city's flailing downtown economy. Richmond and the counties of Chesterfield and Henrico had put aside the annexation anger, the white flight, the tax-base envy, those lingering racial overtones. "I will say there was a certain alignment of the planets that brought together the counties and the city," Charles says, remembering how Henrico County Manager Virgil Hazelett and Chesterfield County Administrator Lane Ramsey knocked heads with their respective boards about taxing hoteliers to pay for the expansion. 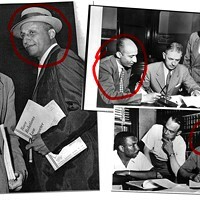 "I know those two gentlemen," Charles says. 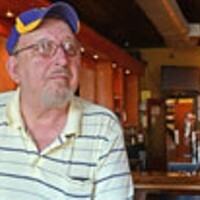 "They had their own battles to fight with their supervisors about investing in something downtown. But there was the sincere desire of, 'Guys, we've got to do something.' That was pretty much it. I shudder to think what downtown would be like had we not done it." Things seemed bleak a decade ago. After years of trial and error, to the detriment of taxpayers, city-backed projects were tanking. The Marriott Hotel, originally a government-subsidized project, had fallen into bankruptcy. Sixth Street Marketplace, the government-subsidized shopping center, had failed to attract chain retailers. The experiences left a bad taste in the mouths of city leaders. The convention center was supposed to change all that. The region's beacon of economic prosperity opened in February 2003, with all the confetti and pronouncements of bygone eras. It was the first big installment in the new downtown, the one that included $66.7 million in new streetscapes and utilities along East Broad Street, a planned $168 million performing arts center and another $80 million-plus for an upscale hotel in the shuttered Miller & Rhoads department store. The storefronts, the department stores, and the festival marketplace are giving way to a new civic and cultural center that will make Richmonders proud of Broad Street again. Visible change began in 2003, with completion of all elements expected in time for Virginia's Quadracentennial Celebration in 2007. With the completion of the convention center, parking facilities, hotel rooms, streetscapes and Courthouse, the image of downtown will receive a huge boost. These projects will generate substantial new pedestrian traffic, which will trigger the development of street-level shops, restaurants and service businesses. The arts district will become a vibrant area late into the night. Indeed, Broad will have a new face and a lot more life. It's 2007. So how about that vision of a vibrant East Broad Street bustling with pedestrians into the night? 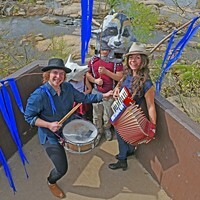 Perhaps you're thinking of the popular First Fridays Artwalk, that one night a month when people pour into the streets to see the art galleries that are open late. Chances are those folks didn't come piling out of the convention hall, skipping their last evening workshop for a little R&R. It's difficult to link downtown life to the convention center, which fronts Broad Street with a giant concrete wall that stretches almost an entire city block. The convention center is indeed adding events and drawing larger crowds every year. But those crowds have yet to translate into the economic prosperity that was supposed to accompany the new convention center. And when you consider that the city and surrounding localities send $11.5 million a year out of the region to pay off the center's bondholders and that the city pays another $2 million to make up the center's operating deficit, it's possible — perhaps likely — that the convention center is actually a drain on the local economy. "What could the city of Richmond buy for 14 million dollars a year? That becomes the central issue," says Heywood T. Sanders, a public policy professor at the University of Texas at San Antonio who studies convention center economics. "What are you getting for what you are paying?" It's been a banner year, convention center officials say. For the fiscal year ending July 1, 2006, there were 409 total events, a 28.6 percent increase from the previous year, according to attendance figures provided by Richmond Metropolitan Convention & Visitors Bureau. Those events, trade shows and conventions drew 311,355 people downtown, an increase of just 5 percent from the year before. The region benefits from getting those events and people downtown, officials say, through admission taxes, sales taxes, meal taxes, parking revenue and the creation of additional jobs in the marketplace. Bottom line, they say: Visitors spend money here. But how many people are actually visitors? Most of the attendees at the convention center's events didn't travel from outside the metro region, Sanders says, which translates to no significant new dollars being pumped into the regional tax base. That's one reason the industry breaks out conventions, trade shows and events when it reports attendance, singling out conventions and out-of-town trade shows as the true measure of new economic impact. Most people attending these events bring in money from outside the region. When it comes to conventions, says John F. "Jack" Berry Jr., president and chief executive of the Richmond Metropolitan Convention & Visitors Bureau, the center had a record year in fiscal 2006, drawing 91,200 conventioneers. It was the first time in 12 years that the expanded convention hall beat traffic at the much smaller Richmond Centre, which reported 86,000 conventioneers in fiscal year 1994. Berry, however, didn't provide Style with statistics on trade shows. So how big an economic boom did that make? The only way to know for sure is to use the measure of economic success that everyone agrees on, including the project's original prognosticators: hotel room nights, or as Berry calls it, "heads in beds." It's a simple enough measuring stick: People who stay in local hotels to attend conventions naturally must eat and shop here, pumping new dollars into the economy. When the convention center expansion was conceived, additional hotel business was on the horizon, according to an economic analysis conducted by KPMG Peat Marwick in 1995. After the first two or three years of the building being open, the report concluded, conventions and trade shows would help the region land an additional 416,000 room nights a year. Of that number, the city would benefit from more than 200,000 room nights. The conclusions were a key argument used by civic boosters and government leaders to justify the lodging tax. The tax, a whopping 8 percent per room-night on hotel operators, would go to pay off the $170 million in bonds floated to expand the center. But in 2006, convention center officials say they don't have information on how many room nights their conventions generated. "The phenomenon nationwide is that people are booking hotels out of block," Berry says, explaining that convention-goers are more apt to book their own rooms instead of using the convention hall's planners. While officials used to track hotel-room nights, Berry says, in the last couple of years "it's just something I've not really needed to do." So what's the economic impact of the convention center? Without hard data, it's impossible to know. As proof of the convention center's success, Berry instead offers that overall hotel business across the region is going gangbusters — and as a result, lodging taxes in the region have increased by $3.48 million since the expanded center reopened in 2003. It's unclear how much of that business is the result of the convention center. What is clear is that Richmond hotels aren't benefiting much from that increased business. Tax data show that most of that growth is taking place in the suburbs. Convention boosters like to use an economic theory known as "compression" to explain the benefit of convention traffic: As conventioneers fill up hotels near the convention hall of a city, regular hotel traffic spreads to surrounding jurisdictions. As an example, think about NASCAR weekends, which regularly draw hundreds of thousands of spectators, subsequently filling up hotels in Henrico, and then spreading to Richmond and even parts of Chesterfield. Within the city limits, hotel-room occupancy has largely been stagnant from the time the convention center reopened in 2003 to 2006. During that period, occupancy increased by only two percentage points, from 59.4 percent to 61.5 percent, according to Smith Travel Research. Even while the total number of attendees has increased during that time from 176,705 to 311,000, city hotel operators have seen little benefit. Convention center officials have long argued the lack of hotel rooms available within the vicinity of the convention center has hurt their ability to attract larger conventions. And it's true that no new hotels have been built in the city since the convention center reopened. In fact, the number of hotel rooms in the city has actually declined slightly, from 3.35 million room nights available in 2003 to 3.34 million room nights available in 2006. But that also means nearly 40 percent of the city's hotels are empty on any given night, hardly a lack of hotel rooms for conventioneers. "At some level, you've got to say, 'Wait a minute, what's going on here?'" says Sanders, who has written extensively about the nationwide convention center boondoggle, so much so that he is largely reviled by convention center operators. "Go back to your numbers [from 2004 through 2006]. They've done a serious increase in new convention business that hasn't yielded any new room nights." A big part of the problem, says Sanders, is competition. Across the country, cities have taken the convention center gamble. Since Richmond reopened its center, Virginia Beach, Hampton and Norfolk moved to expand their convention centers. The convention center in Washington, D.C., underwent an $850 million expansion, and others are on the way. The competition is no doubt fierce for a dwindling number of national conventions. In a recent survey of meeting planners across the country, The Hospitality Research Group in Atlanta found that the number of conventions and meetings planned has largely stabilized. In a survey of 131 meeting planners, Hospitality Research and Convention South magazine found that 86 percent expected the number of meetings and conventions they plan to remain the same over the next two years. Meeting planners have been in a mode of cost-cutting, which may benefit cities such as Richmond as planners look to less expensive second- and third-tier cities. Planners are also trying to eliminate travel expenses, says Mark Woodworth, executive managing director of The Hospitality Research Group, which means that centrally located cities — Richmond sits at the center of the Eastern Seaboard — should fare better. "The numbers have sort of peaked, and there's a greater level of interest of going to second-tier markets," says Woodworth, who adds that the significance of having large hotels next to convention centers may also be dwindling as more people look to cut costs and manage their own hotel bookings. But there are mixed messages. KPMG Peat Marwick projected in 1995 that Richmond's convention center would see 133,000 conventioneers within the first two to three years of operation. That hasn't happened, even four years later. Much of the blame has been placed on Richmond's inability to add another 525 rooms, or another hotel, in close proximity to the convention center, says Michael Meyers, general manager of the Greater Richmond Convention Center. The additional hotel rooms are needed in order to compete for the larger national conventions, he says. The need for hotel rooms next to the convention center isn't lost on P.C. Amin, the Richmond area's largest hotel operator with 18 hotels in his local portfolio and another seven on the way. Amin says he's been looking to build an upscale hotel in downtown Richmond for about five years, but hasn't been able to find a suitable location. Most recently, he'd hoped to build a Hilton Garden Inn in Jackson Ward. The Richmond Redevelopment & Housing Authority opted to sell the land — which sits between First and Third streets, just a couple of blocks away from the convention center — to another developer. Trammell Crow Co. is planning to develop the site, which will be called Jackson Place, into a mixed-use residential community. According to the plans it will include a hotel. The project is scheduled for completion in 2010. Amin was also interested in putting a full-service, upscale hotel just east of the Richmond Coliseum, replacing the Sixth Street food court, but preserving the old Blues Armory. But that plan was also rejected by the city. Amin recently ran into Mayor Doug Wilder at the groundbreaking ceremony for his new full-service, 250-room Hilton Conference Center and Spa in Short Pump, expected to open in summer of 2008. He says the mayor asked him when he was going to build a similar hotel in Richmond. "I said I've been trying to do this for years," Amin says, with a chuckle. City officials told him they were only interested in a full-service hotel in Jackson Ward, and the Hilton Garden Inn — a lower-tier Hilton brand — didn't qualify. So it unnerved Amin when he discovered, via a legal notice from Hilton last spring, that the developers of the Miller & Rhoads hotel were building a Hilton Garden Inn across the street from the convention center. Because Amin owns Hiltons in the Richmond market, Hilton must notify him of any new franchises coming to the market where he operates. Many people thought the developers of the Miller & Rhoads were planning the same kind of upscale Hilton that Amin is building in Short Pump. That appears not to be the case, according to the notice sent to Amin. The developers, ECI Development Services and Historic Restorations Inc., out of New Orleans, have refused to discuss the subbrand of their Hilton, saying only that it will be full-service. It is scheduled to be completed by fall 2008, says Michael Laing, managing officer of ECI. Amin says he doesn't want to be seen as being critical of the city, or the Miller & Rhoads developers, but simply wants the opportunity to build an upscale hotel in Richmond. Ironically, the city spent years trying to find a developer who would develop the Miller & Rhoads site into a hotel. It was the primary reason former City Manager Calvin Jamison and city business leaders recruited Chicago developer Gary Beller. He established ECI Development Services in Richmond, which was awarded more than $2.18 million in fees to issue the bonds and manage the improvements and streetscapes on Broad Street. Beller, in exchange for managing the contract work, would invest his own capital into the former Miller & Rhoads. "I'm a Richmonder. I've always desired to do something downtown," says Amin, who recently bought the Quality Inn at Second and Cary streets, which he's turning into a Holiday Inn Express. He says he recently offered $6 million to buy less than an acre between Eighth and Ninth streets, at Canal and Cary, but the landowner, Dominion Resources, declined his offer. If Amin had been approached by city leaders five years ago, an upscale Hilton downtown would be up and running by now, says Chip Markow, a commercial real estate agent who represents Amin. "It would be a flagship, something that his company and Richmond could be proud of," Markow says. "He wouldn't have any reservations about making it one of the finest hotels that anyone could venture into." The setbacks haven't dampened Amin's spirits. "We are going to build something downtown," Amin says emphatically. He refuses to acknowledge the irony that as the single largest private tax donor to the convention center — all told, his hotels generate more than $2.75 million in lodging taxes that go to pay off the center's debt — he can't build a hotel downtown that would conceivably benefit the convention center and, perhaps for once, allow his business to benefit from the convention center. While much of the city, from Jackson Ward to Church Hill to Manchester, is undergoing a renaissance that is attracting hordes of private investment, the section of the city that's benefited most from the government teat has seen next to no private investment, save for about $17 million the new owners of the Richmond Marriott spent to purchase the hotel, spruce up the lobby and make other improvements. In fact, after hundreds of millions of dollars in government-backed bonds used to improve downtown, East Broad Street is one of the most pedestrian-unfriendly places in the city. To pay for the downtown improvements to East Broad, the Broad Street Community Development Authority eliminated much of the on-street parking to direct traffic to recently constructed parking decks. The convention hall's food court still stands mostly empty, and the building's doors are usually locked tight during the week, seemingly to prevent walk-through traffic. City Council President William J. Pantele holds out hope that the future is brighter for the convention center. He sees more hotels on the way and wonders whether Philip Morris USA would have built its $350 million research facility across the street from the Richmond Coliseum had the city not invested in East Broad. The investment in the convention center, he says, no doubt gave others confidence that the city wasn't leaving Broad Street for dead. Officials also point to the construction of the federal courthouse as a positive sign. Pantele chalks up the lack of progress on East Broad to poor planning. The city doesn't have a strategic economic development plan for the area, he says, which can hardly be blamed on the operators of the convention center. Meanwhile, business conditions are improving downtown, he says, which should help the convention center. "The fact of the matter is Richmond has for the last five or six years been transitioning extremely quickly, so I think that the general economic numbers from about five years ago are going to look very different five years from now," Pantele says. "Downtown is changing extremely fast, and it's reflecting generally better business conditions. MeadWestvaco downtown, the MCV expansion, and lower air fares are all going to work together, and that's just scratching the surface for the overall hotel market. "How that interrelates with the convention tourism? I don't know necessarily that there is a correlation." Don Charles, the former convention center official, is now director of community development for Goochland County. He says the convention center was never intended to go it alone. The plan all along included the other pieces — the hotels, the performing arts center, the streetscape improvements — and the men who developed the plan in the mid-1990s all understood this. At the time, the numbers looked good. Richmond wasn't facing a mountain of competition for conventioneers, and few could have anticipated the terrorist attacks of 9/11, which derailed the national convention market. As for opening up the convention center to pedestrian traffic on Broad Street and elsewhere, Charles says in the mid-1990s few anticipated the downtown renaissance taking place today. Back then, there was no need to "animate" the Broad Street side of the convention hall. The decision-makers who made up the convention center authority had their limitations. "Had some ether-shrouded spirit appeared at our board meetings offering tablets of wisdom?" says Charles, with a hint of sarcasm. "No. Instead there were mere mortal men of common good spirit. That's all it was." Today, that good spirit may be evaporating. The city is making up for the center's operating deficit, which is expected to grow to $2.5 million this year, and Mayor Wilder isn't known for taking shortfalls lightly. Richmond is responsible for 50 percent of the center's operating costs and debt service, Henrico 35 percent, Chesterfield 13 percent and Hanover County 2 percent. Both Henrico and Chesterfield receive rebates from the convention center authority because the amount of lodging taxes they collect amounts to more than their share of the expenses. Wilder is rumored to be eyeing a "renegotiation" of those percentages, although Linwood Norman, Wilder's press secretary, said last week the mayor didn't have any comment on the convention center's current woes. Norman says the mayor was invited to meet with Henrico County Manager Virgil Hazelett to possibly discuss issues related to the convention center in the coming weeks. In the meantime, Pantele says the convention center's impact on hotels and the local economy needs to be monitored. Convention officials have already broached the subject of expanding the convention center again, he says, but no expansion should come without an honest look at how the current facility is performing. While Berry says there's no longer a need to track hotel nights related to conventions at the center, Pantele says he plans to push for just that. "Why can't you track convention-related hotel bookings and related activities and report it on a monthly basis?" Pantele asks. "I think there should be regular surveys of the hotels. How else can you evaluate the convention tourism and the general tourism in the Richmond market? Many times in government there is a morbid fear of saying that the goal isn't being met. But the real issue is you need to know so you can marshal the resources, so you can meet those goals." After a little digging, Sanders says, it doesn't take long to realize that convention centers just aren't going to deliver downtowns from economic disparity. The objective, he says, is to acknowledge as much and then proceed to minimize the financial exposure. Compare convention attendance figures from 2003 to 2006 (Adobe pdf file). 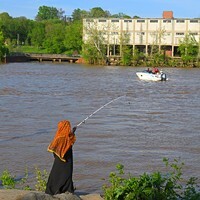 When the fish are running and biting, anglers from all walks of life are happy to cast their lines from the shores of the James River.